Pandora Productions Poster from 1967. Some horizontal creases and light dents, some light surface wear, small light bend in top right corner, light edge wear, some writing on back. The item "Jimi Hendrix Mr. 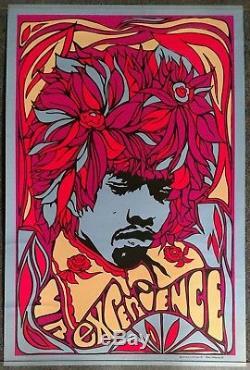 Experience 1967 BLACK LIGHT POSTER Pandora Productions RARE" is in sale since Monday, July 16, 2018. This item is in the category "Entertainment Memorabilia\Music Memorabilia\Rock & Pop\Artists H\Hendrix, Jimi\Posters". 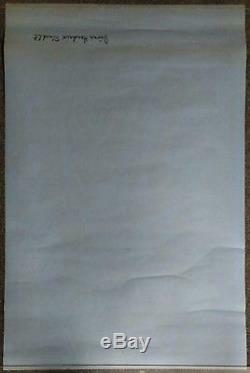 The seller is "gerosarecords" and is located in Brookfield, Connecticut. This item can be shipped worldwide.